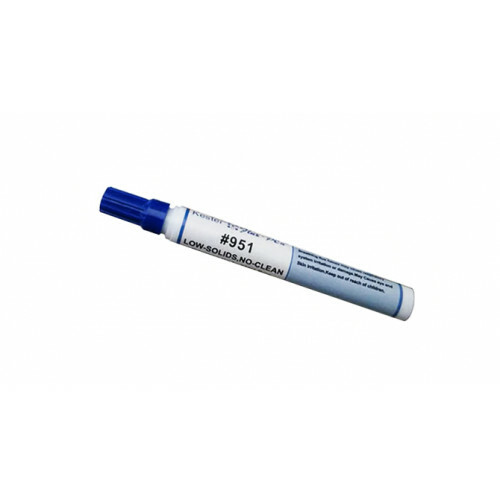 Kester 951 Flux-Pen® is a zero-halogen, non-rosin Flux-Pen that is specifically designed for rework of conventional and surface mount circuit board assemblies. 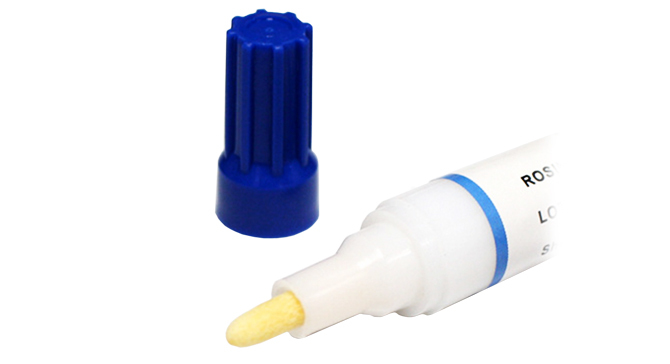 The extremely low solids content (2.0%) and nature of the activator system results in practically no residue left on the assembly after soldering. There are no residues to interfere with electrical testing. 951 exhibits improved soldering performance to minimize solder bridges (shorts) during rework operations. 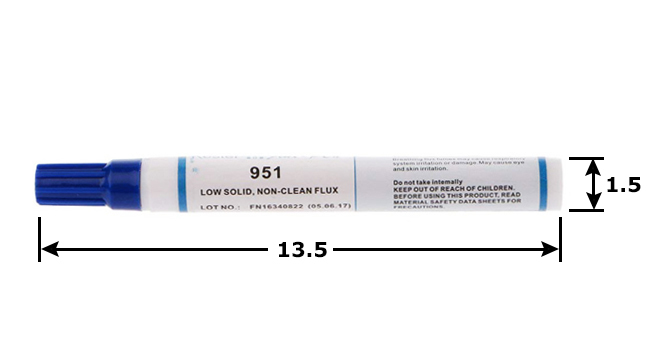 This flux is suitable for automotive, computer, telecommunications and other applications where reliability considerations are critical. The surface insulation resistance on soldered boards is higher than that provided by typical water-soluble fluxes. 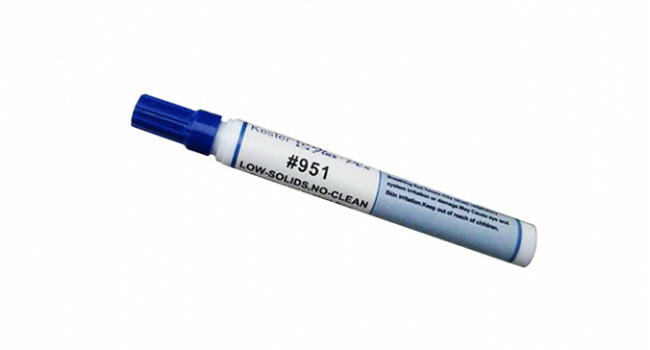 951 contains a corrosion inhibitor such that no corrosion products are formed when bare copper surfaces are exposed to humid environments.